Last week I refilled my Xanax prescription. Ah, it must be time to go to Kenya again. I wish I loved going. But I don’t. I’m too high-strung. Too impatient. Too controlling. Too me. Every time I leave my family, get on a plane and fly across the ocean, it’s so hard for me. My mental countdown to G-day is pathetic. It just doesn’t get easier. I don’t mean to sound spoiled or ungrateful. So, don’t get me wrong, I love being sent. I love that Jesus expects obedience even when we’d rather stay. One of our staff members at Mercy House asked if she could pray with me before I left for this trip to Kenya. I could hardly respond because YES. After we gathered round and prayed, another staff member let out a “Woop! Yay! You’re going on an adventure!” I gave a weak smile. I like staying. I love being home. Let’s face it, I’m an excellent introvert. But when we go–even in fear and doubt and with a dab of dread, we let go. We remind ourselves God is in charge. We get a little uncomfortable, things get a lot out of our control and it’s in this dynamic, we remember the beauty of saying yes. Going for you might be a visit to the in-laws house or the teacher’s office; the not-so-nice neighbor’s house or your teen’s bedroom. Going doesn’t mean we have to take a trip. God is always asking us to say yes to something that is hard, something that is bigger than we are–something that requires us to trust Him. He is always pushing us out of our comfort zone–closer to Him. If we don’t go, we’ll never know what God can do. Exactly one year ago, I was in Kenya with my family and we visited the most heartbreaking homes of some of the teen moms in the maternity homes who couldn’t go home because of the oppressive cycle of poverty their families were trapped in. I sat with Mildred in her home and wept with her for the hell she endured and I cried because I didn’t know how to help her out of it. Going made me desperate to rely on the God who sent me. It gave me the courage to ask Him to do the impossible. Miracles. 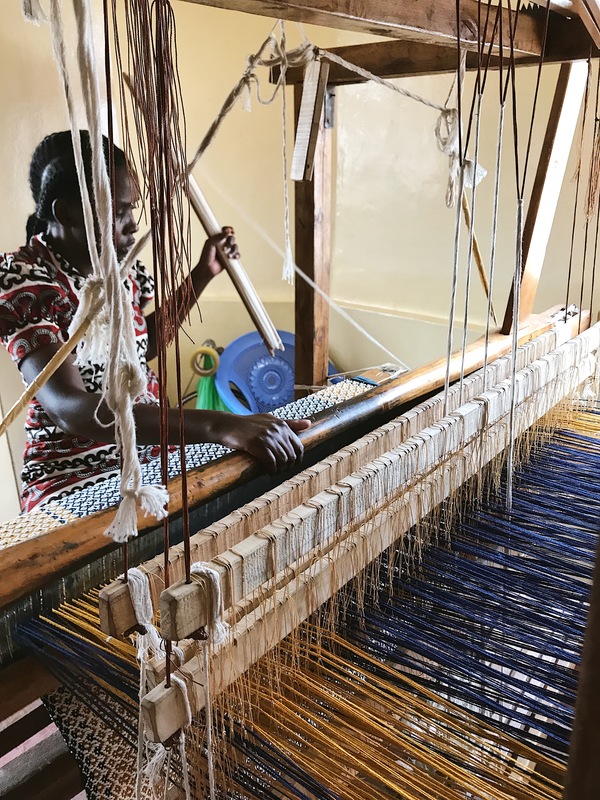 Miujiza Textiles was born out of that cry for God to show up. 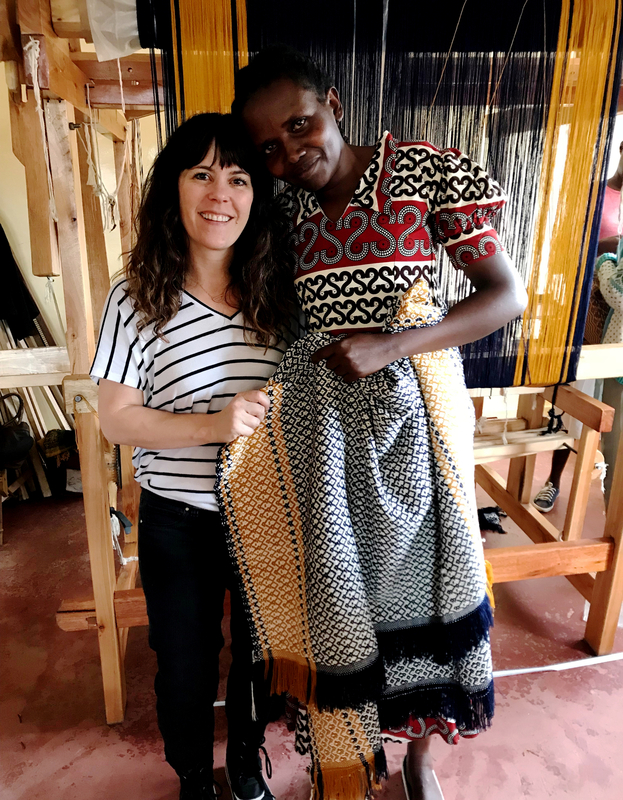 Yesterday, I stood with Mildred at a loom in a slum in Kenya. In the past year, against all odds, with very little education and even less opportunity, she’s become a master weaver. I would have missed the way the natural light brightens the room full of looms. I wouldn’t have known that it takes five solid days sitting at a loom create a woven masterpiece. I wouldn’t have known how soft a hand-loomed throw feels or the warm embrace of Mildred and or see the hope in her eyes or the sheer joy on her face. I wouldn’t have seen these miracles if I’d stayed. Friends, trust me, going is hard. Obedience will push you to the ends of yourself. But if we stay, we miss what God can do with our weak yes. Go. Even if you’re reluctant. Shop Mildred’s amazing heirloom throw blankets today and help provide hope and dignified work in Jesus’ name.